For 2019, and in light of all of the new reports on climate change from the IPCC and the U.S. government (which includes a chapter on Indigenous communities for the first time), I’m going to hopefully predict a turn towards new frames and approaches to reporting on climate change and Indigenous communities. The past decade has seen the intensification of warnings and predictions about climate change, and at the same time, a concurrent rise in Indigenous-led social movements and Indigenous journalists making use of digital platforms. A highlight reel from the last 10 years might include varied efforts like the People’s Agreement in Cochabamba, major cross-border movements like Idle No More, MMIWG, Standing Rock, and resistance to the TMX pipeline among British Columbia’s First Nations and to the telescope on Mauna Kea in Hawai’i. I could broaden out this list a lot more — these are just the events and protests that are well known thanks to their footprint on social media and what is often late and limited mainstream media attention. More generally, what has made digital media so vibrant and important is the ways in which it offers what my co-author and UBC colleague Mary Lynn Young and I describe in a forthcoming book as a reckoning with mainstream media narratives. This analysis doesn’t just pertain to Indigenous communities and media, but it is perhaps a most poignant observation when it comes to Indigenous issues. Given that historians and media analysis have repeatedly shown the ways that mainstream media have tended to mis- and under-represent Indigenous communities — reproducing stereotypes and deficit views of Indigenous people, ignoring Indigenous knowledge, erasing the ongoing impacts of colonialism, and/or framing Indigenous people as proxies, victims, or heroes when it comes to climate change. Indigenous journalists and media counter this systematic bias often by reporting on what isn’t covered (or covered well, or covered consistently) by other media. But also — and this is a crucial difference — they do so by turning to Indigenous people as experts on their lives and their histories. Recognizing Indigenous communities’ concerns, knowledge, and priorities as adaptation planning for climate change takes shape has benefits for everyone. Let’s hope the influence of these approaches begins to overflow into mainstream media approaches in 2019 — and hey, mainstream newsrooms, I have a great shortcut for you to get there: Hire Indigenous journalists and editors. 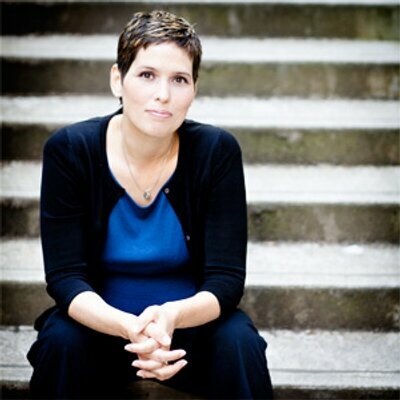 Candis Callison is an associate professor in the University of British Columbia’s Graduate School of Journalism and a visiting professor at Princeton. Jan. 3, 2019, 2:46 p.m.